Often referred to as one of the most electrifying bass players in the world, Verdine White is a consummate entertainer whose primary goal is to touch his audience with his gift. Intelligent, articulate, charismatic and courageously stylish with a flair for the extraordinary, please join us as we welcome Verdine White to the Clive Davis Theater for and intimate discussion and performance. Born and raised in Chicago, White's formal training began in his preteens, studying the upright bass. After performing for several years in the Chicago Symphony Orchestra, he began playing the electric bass in local jazz clubs throughout Chicago, where he perfected his inimitable technique and style of playing. Already an accomplished bassist, he then joined his brother Maurice in Los Angeles to form one of the most successful pop and R&B bands of all time: Earth Wind & Fire. His list of prestigious accomplishments include an induction into the Rock and Roll Hall of Fame, Songwriters Hall of Fame, Bass Players Legendary Lifetime Achievement Award and Honorary Doctorate to Columbia University. 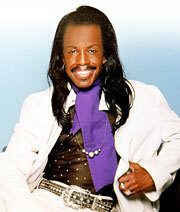 This year, Verdine was elected to the GRAMMY Board of Governors. Hear White in discussion about his 40-year career and get an exclusive look at how he approaches his instrument with a unique performance. After the discussion, moderated by Vice President of The GRAMMY Foundation and MusiCares Scott Goldman, White will take audience questions and sign copies of his latest bass instruction book, Playing the Bass Guitar: A Beginner's Guide to the Electric Bass.